Praat is an effective and free tool for speech analysis, speech synthesis and manipulation. It can be used widely for phonetics and linguistic research. Praat is currently the most accepted, popular and free software package for speech analysis. It is particularly helpful in phonetics classes and academic sessions for making spectrogram, pitch tracks and similar functions. Whatever be the level of knowledge about speech analysis and phonetics, this tool can be easily used to achieve desired results. This tool can be used on diverse operating systems and is available for free download from the respective website. The tool offers extensive range of functions including articulatory analysis, spectrograph analysis and use of neural networks. You can easily learn Praat with the help of user manual which describes all the functions in detail. If you are a beginner, you may find it difficult to use the tool. But it can be understood very easily and can achieve better results with the help of this all-purpose tool. 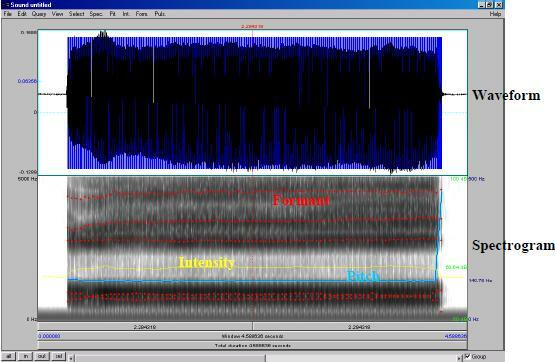 You can visualize and extract necessary information from a sound object using the Praat tool. You can use the “edit” function for this purpose. First you need to create a new speech object. Now, select the created object and choose the “edit” option from the main menu. You will get a new window. If the created sound object just occupies of a few part of the window, select the required part and extract this part to the sound object list. You can close the window now and then select the newly extracted sound object. Edit this again. The top menu comes with several options including File, Edit, Query, View, Select, Spec, Pit, Int etc. You may download and install Praat tool to learn more about this. This tool would definitely help you to perform better in areas of phonetics and speech research.